For patients coming to terms with a new diagnosis or a reoccurrence of their disease, clinical trials represent a rare form of hope. For doctors, clinical trials are a critical stop on the road to a cure. But for years, matching patients with clinical trials of new treatments currently under investigation has been an exercise in futility. Trial investigators usually have to rely on ﬁle cabinets full of paper records to ﬁnd suitable patients and few tools, if any, exist to make it easier for patients to ﬁnd clinical trials near them. Consequently, four out of ﬁve clinical trials are delayed and 50% of the delays are due to participant recruitment challenges. Accrual within clinical trials continues to be a major bottleneck in scientiﬁc progress. In the domain of oncology, for example, fewer than 3% of potentially eligible patients enroll in clinical trials. More than 75% of participants are not even aware trials exist, even though surveys have shown that a majority of people would be open to participating in these studies if they knew about them. Chintan Patel and Sharib Khan knew there had to be a more efﬁcient way to connect patients and clinical trials. 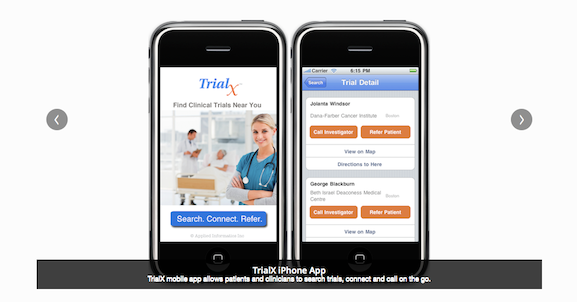 They founded TrialX in 2008, after Patel created a prototype at a Google hackathon. application for the Google Health platform,” Khan said. Microsoft then reached out and asked the team to build a similar application for its HealthVault personal health record platform. Within a few years, TrialX had signed up clients like the Cleveland Clinic, Harvard’s Beth Israel Deaconess Medical Center, the New York-Presbyterian Hospital and the Multiple Myeloma Research Foundation. team strove to do better. “We wanted to facilitate a connection that was immediate and effortless,” Patel said. In addition to connecting patients and clinics via email, Patel wanted to add click-to-call functionality to Ask Dory, the company’s redesigned clinical trials search application that makes it even easier for patients to ﬁnd trials near them. The team has continued to create value using Twilio. For example, in order to make it easier to communicate with team members in India, Hussain wrote a conference call app that automatically dials everyone who needs to attend a particular meeting. In addition, in response to customer feedback, the team built an app named Call-E that makes it very easy for a doctor’s ofﬁce to send proactive notiﬁcations via voice or SMS to remind a patient about an upcoming appointment or preventative screening. “Previously, doctor’s ofﬁces or hospitals had to rely on manual calling or expensive automated call systems,” Patel said. 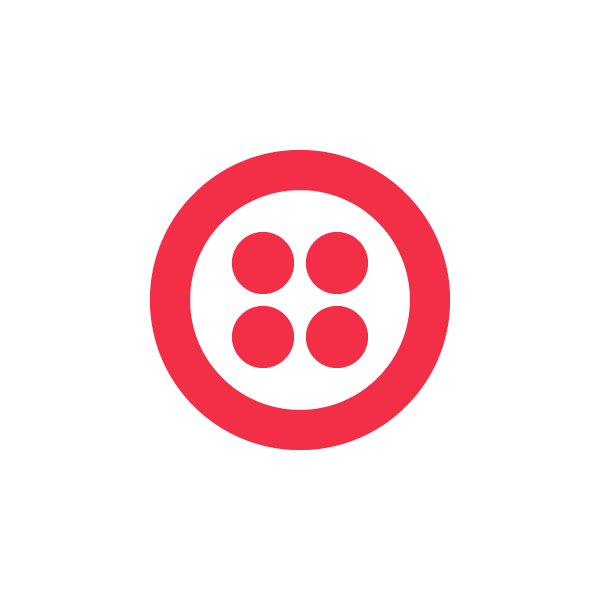 “We believe Twilio will disrupt communications models in healthcare,” Patel said, noting that Twilio-powered apps are increasing efﬁciency not only for TrialX customers but also for the company itself.